The application landscape is changing rapidly. With all the applications moving to the browser, the traditional desktop approach is no longer viable for most businesses. 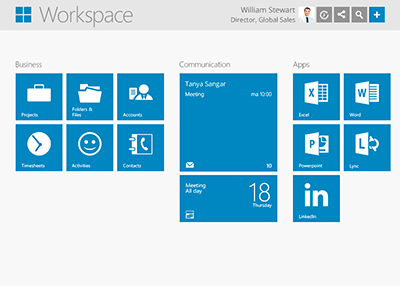 Workspace 365 allows you to deliver a modern, roll-based workspace to your customers. Integrating and simplifying Office 365, providing Single Sign On and integrate legacy Windows applications in one complete workspace. Your Workspace 365 will automatically change between Portal, Hybrid and Ultimate depending on the application used on your workspace.